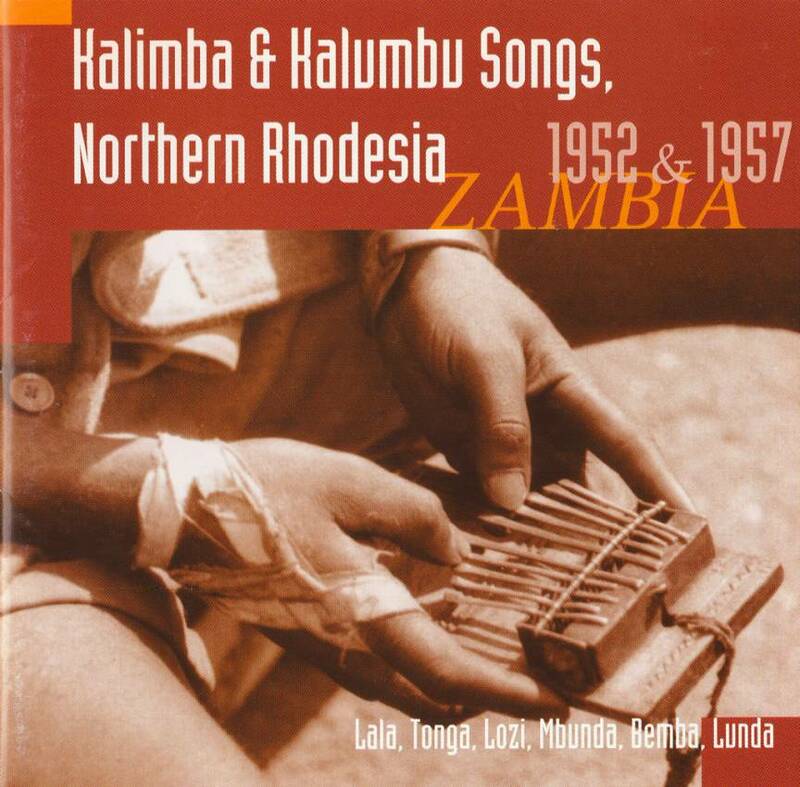 The 'thumb-piano' and 'musical bow' are now as rare in Zambia as they were once common! A selection from Hugh Tracey's historical recordings of these wonderful 'little' musics – sometimes extrovert, sometimes meditative. Whether it be the mysterious tinkling of the various kalimbas, or the deep buzz of the kalumbu bow, you can't help but get charmed. Total time: 62'46". 20 page booklet. Tracklist: 1. Sitmia Senda Namoto, 2. Tambuka Nalikishi, 3. Bena Kazembe Balitumpa, 4. Bamangolosa Bachusuwano, 5. Bata Wasunga Mulundu, 6. Ba Serenje Balokulila Bawishibo, 7. Bantamba Fituka, 8. Mwina Nonge, 9. maiyongwe, 10. Takundambi Kumulumi Wako, 11. Chembere Luimbolo, 12. Wo Ye-ye Ndauwuluke, 13. Maulu Maulu Kakusike Kumwebe, 14. Tomuwayi Muntu Mwana Mwanike, 15. Kuzumana Makua, 16. Tamanangu, 17. Shendamundale Banana, 18. Nisoya Na Chingola, 19. Kanenga, 20. Chihibalumuna Bembi, 21. Nadusanga Chikolya Mukapela Meeda Bewa, 22. Eko Ilimpenta, 23. Ndapilibuka, 24. Wemuko Ifwala Mangapala, 25. Sicembe. The Wire 1999 (GB): "Instruments that are dying out, they are revealed by Tracey’s recordings to be frozen drops of glass, three legged machines hopping asymetrically through dried leaves."